Nassau County Executive Edward P. Mangano announced that the County has awarded a $100,000 Community Development Block Grant (CDBG) to the Village of Lynbrook for downtown streetscape improvements. The Village will build upon previously completed work by installing street lights and decorative paving on Hempstead Avenue and Alexander Avenue in the Village’s downtown. An additional $40,000 has been allocated to the Village to assist low income residents with residential weatherization improvements. “Improving the Village of Lynbrook’s downtown area is a win-win for the community. Businesses will benefit from a much needed facelift of Hempstead and Alexander Avenues and residents will enjoy a revitalized shopping and dining district,” said Senator Charles Schumer. “This is great news that the county has again given us the grant we applied for, especially in these tough times. We will certainly continue our projects in revitalizing our streets, including Hempstead Avenue & Alexander Avenue and thank both County Executive Mangano and Legislator Francis Becker for awarding this to Lynbrook,” said Mayor William Hendrick, Village of Lynbrook. “Lynbrook is my hometown. I am pleased to be able to partner with the county executive in processing these grants that will benefit the village, its beautification efforts and improve the quality of life of my fellow residents. Despite the difficult economic times we are experiencing, as Lynbrook’s legislative representative, it is encouraging that we are still able to move forward with important projects such as this,” stated Legislator Francis X. Becker, Jr. The CDBG Program is a Federal entitlement program that provides communities with resources to address a wide range of unique community development needs. CDBG funds can be used for a wide range of activities related to housing, economic development, commercial revitalization, public services, infrastructure and public facilities. 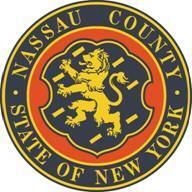 The Nassau County Office of Community Development annually issues a Notice of Funding Availability and accepts applications from member municipalities and other eligible applicants for CDBG grant funded activities.